It came with a simple enough comment. We all have nerd vices. With regard to the majority of my friends, this is a horrendous understatement. Given time and disposable income there are no bounds to the insane projects we will come up with. You could be financing a space empire in Eve Online, writing Fantasy novels, collecting four of every magic the gathering card, wargaming, or trying to own every single Nintendo console in existence (There are a lot more than you would think). We’ve done it all. 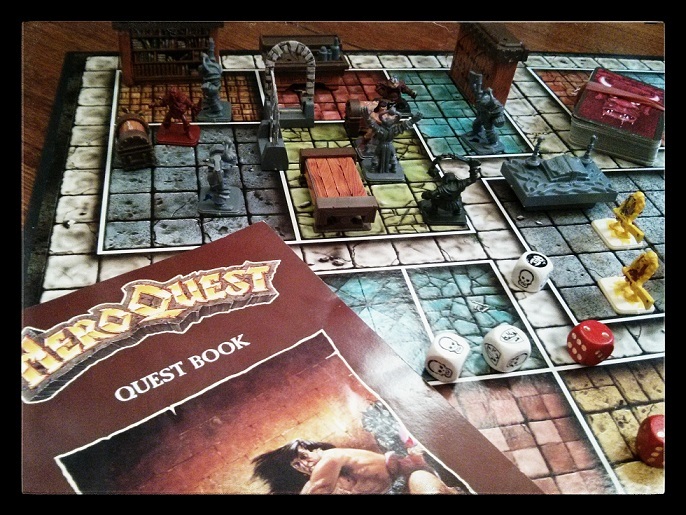 And like most people our age we have fond memories of the board game HeroQuest. We’ve come a long way. So many late nights. So much Mountain Dew. For those who don’t know, it is essentially Dungeons and Dragons simplified into a board game. It captured the imagination of young nerds across the world and I am safe to say elicits nostalgic sighs from many people who wouldn’t want you to know they played this as kids/teenagers. Just read this fantastic write up from Rock,Paper, Shotgun. It comes with the original TV spot which cannot be missed. 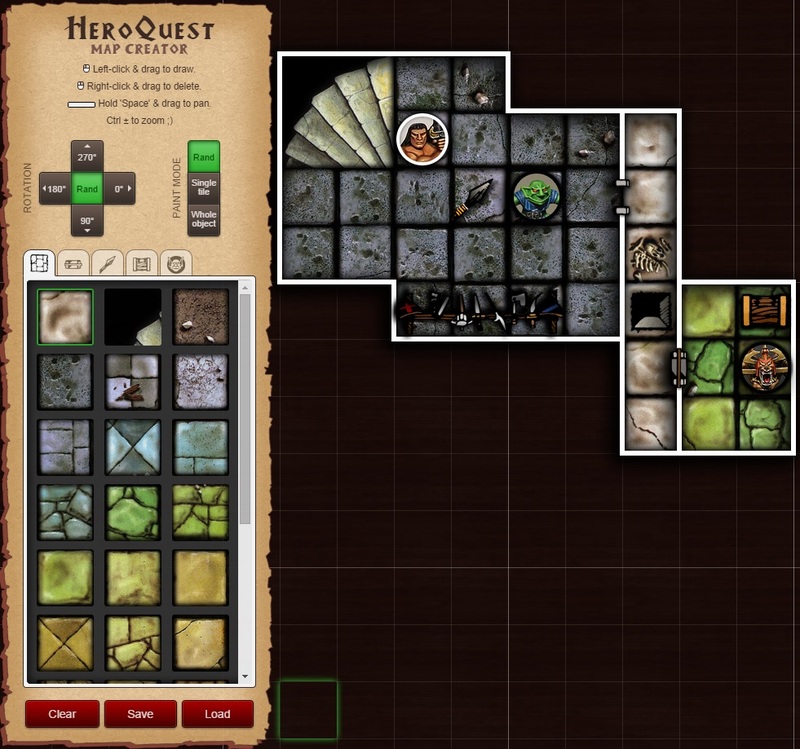 Now, speaking of nerd vices, Davide Rizzo, a prodigiously talented web designer/graphic artist, who also happens to be one of my Beta Readers, has tapped into his memories and created a web based application which allows you to make your own HeroQuest maps with the click of a button. (Note, you need Chrome Browser for it to work properly) For those non tech-savvy people, it may look simple enough, but the time and effort which has gone into this can’t be underestimated. Open source and easy to use. What are you waiting for? The maps can be saved as text files on your computer to be loaded up again via the map creator at any point in time. At this stage the tool is only for map creation and would suit anyone looking to map out a dungeon for an RPG or even a game of HeroQuest if you still have it. The code is Open Source and available on CodePen, which hopefully provides potential for someone else to pick it up and create some working online games with it. I encourage you all to have a play around with it and admire the work. There are plenty of projects sitting on peoples hard drives which will never be made public. Here is a great example of someone who has taken the effort to create something really outstanding and then shared it with the online community for free use. If you are interested in seeing more of Davide’s work you can follow his blog here and see his website here. 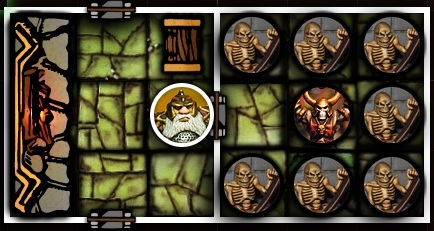 This entry was posted in Hobbies and tagged CodePen, Dungeons and Dragons, HeroQuest, nerd, Open Source, Pathfinder, rpg, Wargaming by blottingaway. Bookmark the permalink.